At least people are still buying Cheetos. As smaller food companies such as Hershey Co. (HSY - Get Report) and Campbell Soup Co. (CPB - Get Report) look to gobble up healthy snack makers, PepsiCo Inc. (PEP - Get Report) finds itself in a peculiar position. While its bottom line remains healthy, the growth of the company's core beverage business has stalled a bit — beverage sales in North America were down 6% in the third quarter, for instance. Meanwhile, Hershey's pending $1.6 billion acquisition of SkinnyPop maker Amplify Snack Brands Inc. (BETR puts pressure on Pepsi as the entire consumer packaged goods snacking industry shifts toward smaller, healthier brands. The Amplify deal creates some problems for Pepsi, according to Erich Joachimsthaler, CEO of brand strategy firm Vivaldi, because it gives Hershey market share in the snacking space. "When Amplify stood alone, it wasn't a problem for Pepsi because it lacked mass distribution channels," he told TheStreet. "But now under Hershey, that's no longer the case. ... It will have to make a similar acquisition down the line." Pepsi has made efforts in pushing healthier products (it owns Naked juice and Quaker oatmeal and in November 2016 acquired Kombucha maker KeVita) and even reduced the amount of sodium in its chips, but its best-selling products are still fatty favorites such as Lay's potato chips and Cheetos. In fact, as part of its third-quarter earnings, the Purchase, N.Y.-based manufacturer slashed its full-year organic revenue growth outlook from at least 3% to 2.3%. In other words, the $168 billion may be OK for now given its scale and assortment of brands. But for it to compete down the line, PepsiCo may have to acquire smaller, more nimble brands to compete with the likes of Amplify. Every big CPG name — PepsiCo and beyond — is now competing with smaller, newer CPG products that are able to reach consumers directly thanks to e-commerce, according to Bernstein analyst Ali Dibadj. "PepsiCo isn't exactly playing catch-up to Hershey or other competitors in the field. All of them are behind these smaller, more fragmented companies that are able to capture consumer need," he told TheStreet. That's why consolidation is the play for all large CPG companies in the market looking ahead, especially considering the growing consumer demand for on-the-go snacks with a healthy component. The Hershey deal "is very indicative of what's already happening in the food space within CPG," said Prashant Malaviya, an associate dean of MBA programs at Georgetown University. "You see this across the board with [Kellogg Co. (K - Get Report) ] and [Mondelez International Inc. (MDLZ - Get Report) ] as the industry is betting on broader portfolios that cut past traditional categories." Meanwhile, others in the food CPG space are moving fast to gobble up healthier and consumer-conscious brands. Campbell, for example, moved on Monday to acquire Snyder's-Lance Inc. (LNCE , which owns Kettle Foods and Pop Secret, for $4.9 billion. And Snickers maker Mars Inc. in November created an entire global wellness platform with its acquisition of a minority stake in Kind, which produces popular and health-conscious snack bars sold in Whole Foods and cafés. In the emergence of online retailers such as Amazon.com Inc. (AMZN - Get Report) as well as big-box stores such as Costco Wholesale Corp. (COST - Get Report) , traditional CPG companies are finding themselves having to navigate a new retail landscape, according to Malaviya. As a result, by being able to offer more brands in a more diversified portfolio, manufacturing companies such as Unilever NV (UN - Get Report) and Nestlé SA — as well as PepsiCo — have more leverage in negotiating with retailers. Just ask GoPuff, a snacks delivery service that fulfills from its own warehouses and works directly with snack vendors without a middleman retailer. "We want to work with as many brands as possible, and that means we welcome larger varieties from certain CPG companies," said Daniel Folkman, the head of business development of GoPuff. Folkman described his company as a "convenience store on the go" that has capitalized on the snacking preferences of millennial and Gen Z consumers. "It used to be that a consumer would eat snacks between meals, but now it's meals between snacks, and that's why we're able to answer to the demand," he told TheStreet's sister publication, The Deal. But more snacks means fewer calories for each snack for the health conscious demographic, and that's why "there's a rise in a newer wave of snacks that cater to this immediate snacking mentality without having to take down 500 or 600 calories per bag," Folkman added. Enter SkinnyPop and Kettle Foods. Only now deviating from sugary goods, Hershey is playing catch-up with these other bigger CPG companies when it comes to diversification, Malaviya said. "You've got Unilever, Mondelez and Nestlé that already have a pretty broad portfolio of food products." It was only this year that Hershey ventured beyond candy, thanks to Michele Buck, who became CEO in March. She told TheStreet on Monday that Hershey will continue looking for M&A opportunities in the next few years. 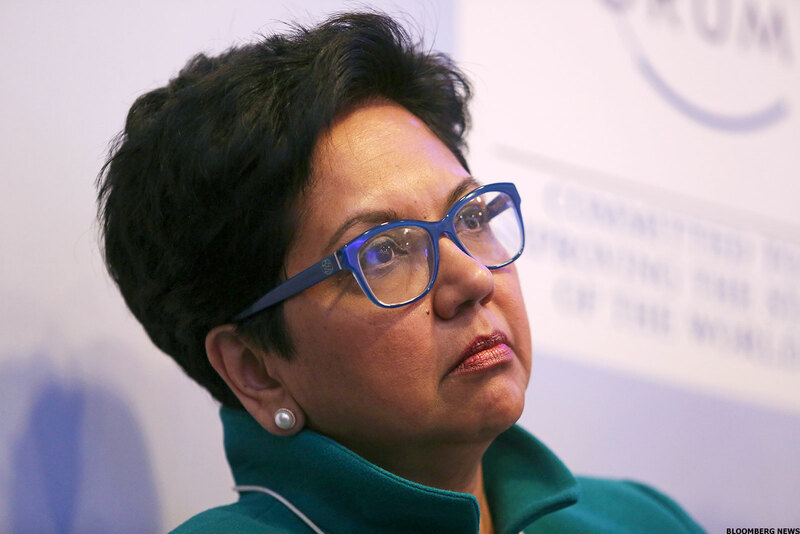 "Organic growth and M&A growth will play key roles in our business going forward," she said. "We feel good about continuing to drive against both areas." So what could Pepsi possibly buy next year? A company like yogurt maker Chobani Inc., founded and owned by Turkish businessman Hamdi Ulukaya, may be a viable target, Joachimsthaler said — if it weren't for the fact that Chobani has repeatedly declined PepsiCo's offers. There is also Soylent, a drinkable meal alternative that provides protein, carbohydrates and other nutrients in liquid form. The venture capital-backed product has created buzz beyond Silicon Valley and has done a good job connecting with its consumers, according to Folkman. Meanwhile, we hear Hain Celestial Group Inc. (HAIN - Get Report) may still be on the auction block. PepsiCo shares gained 0.5% on Tuesday, closing at $118.61. The company could not be immediately reached for comment. PepsiCo is a holding in Jim Cramer's Action Alerts PLUS Charitable Trust Portfolio. Want to be alerted before Cramer and the AAP team buy or sell PEP? Learn more now.